The Shoshones were divided into two basic groupings. The Eastern Shoshones lived in the Wyoming's Wind River Mountains, whereas the Northern Shoshones were based in Idaho. By the middle of the 17th century the Sioux, Cheyenne and Blackfeet had driven the Shoshones from the Northern Plains into the Rocky Mountains region. However they returned to the plains in small groups in order to carry out buffalo hunts. They also lived on rabbits, roots, nuts and seeds. The traditional enemy of the Shoshoni were the Blackfeet. Between 1785 and 1805 large numbers of both tribes were killed in battles over hunting territory. The Northern Shoshones were encountered by William Clark and Meriwether Lewis in 1805. 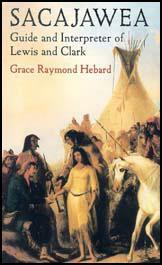 Sacajawea, a member of the tribe, helped guide the party through the Rocky Mountains. Chief Washakie developed a reputation as a fierce warrior against rival tribes such as the Sioux and Blackfeet. However he developed a policy of friendship with white settlers and the American government. He was hired by both the Hudson's Bay Company and American Fur Company and worked as a guide for white trappers. Washakie's record of friendship towards the authorities allowed him to negotiate good treaties for his people. In 1868 he obtained the White River Valley Reservation in Wyoming, and area still rich in buffalo. The Shoshones were willing to form an alliance with the United States against their traditional enemies. On 17th June 1876, General George Crook and about 1,000 troops, supported by the Shoshones, fought against 1,500 members of the Sioux and Cheyenne tribes. The battle at Rosebud Creek lasted for over six hours. This was the first time that Native Americans had united together to fight in such large numbers. President Ulysses Grant was so pleased with Washakie's contribution to the Indian Wars that he presented him with an expensive saddle at a special ceremony. One young Shoshone Indian, left in the rear to herd the liorses of his tribe, was killed by a small party of daring Cheyennes, wlio, during the heat of Royall's fight, rode in between that officer's left and the right of Van Vliet. Tlie latter supposed that the adventurous savages were some of our redskins, so natural and unconcerned were all their actions. The Cheyennes slew the poor boy with their tomahawks, took his scalp, "leaving not a wrack behind," and drove away a part of his herd.